Funky Polkadot Giraffe: SEW Amazing Giveaway!!!! I hope you've been following the Holiday Bake Craft Sew Along over at Skip to my Lou! There are some FABULOUS sewing tutorials and awesome handmade gift ideas. You have to check them out. 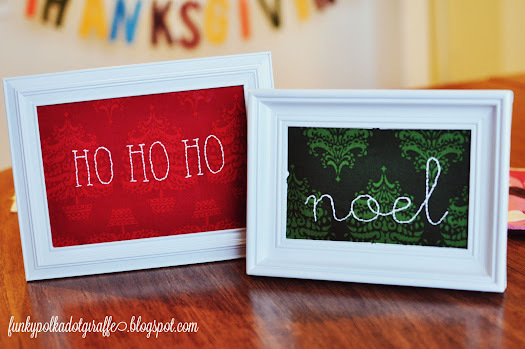 Today I'm guesting at Skip to my Lou and sharing my tutorial for Framed Holiday Hand Embroidery. I hope you'll come visit and leave me some love! We are giving away a fabulous Prize Package worth more than $700! Oh my goodness! This is an amazing giveaway! I need a sewing machine so bad. I have so many projects that I would love to do with it. Happy Holidays! thanks for the chance, what a fabulous giveaway! What a fantastic giveaway! I would love to give this to my 9 year old daughter who loves sewing. Finally! a "Sew" project featured that I can actually do :) being "Sans" sewing machine makes most projects out of my reach, but frames, christmas material and embroidery... I can DO this! Thank you sooo much! what great gift ideas! What a fabulous giveaway! Too cool! Just found your blog and I LOVE IT!!!!! Such cute stuff!!!! Would love to win this one for a Christmas present to myself. I would love to win this. I'm still using my Grandma's old Singer built in machine. Great giveaway!! Would LOVE to win! 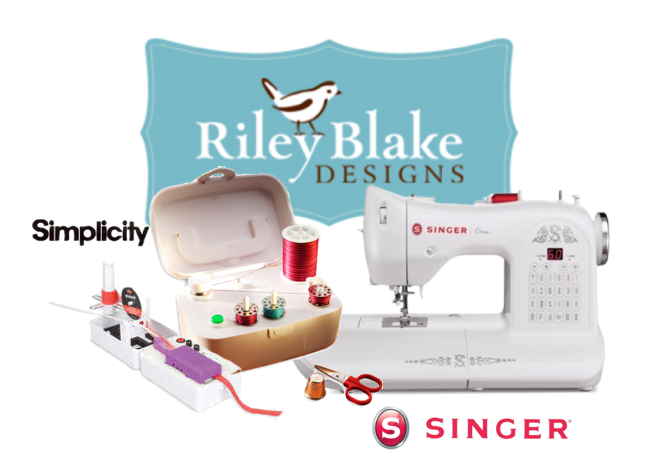 Thank you for the sewing giveaway, this would be awesome to win. This blog rocks, I use many of the ideas here to share with my own girls, we craft together or I decorate our house for them with many of the ideas I find here. Thank you!